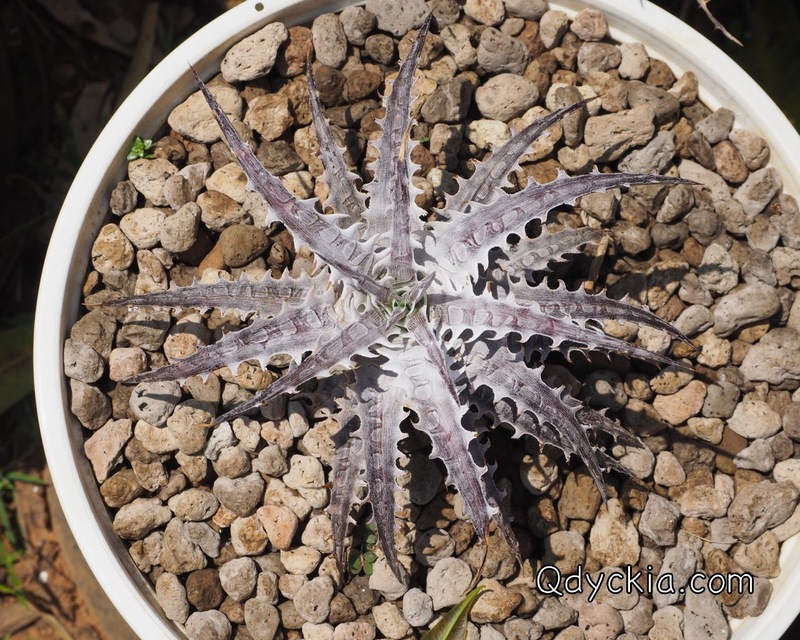 Look like we have snow here. 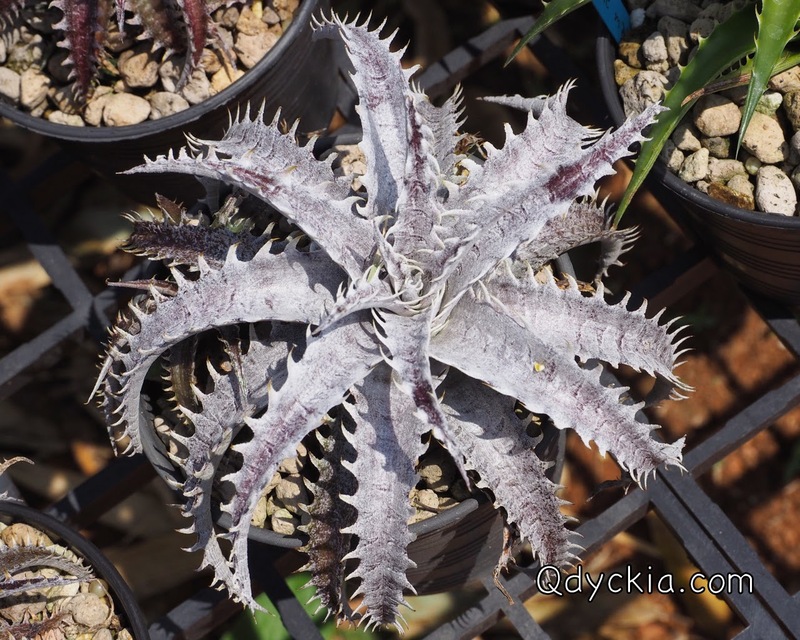 Good morning all, today I will show you that we have some Snow in Thailand. 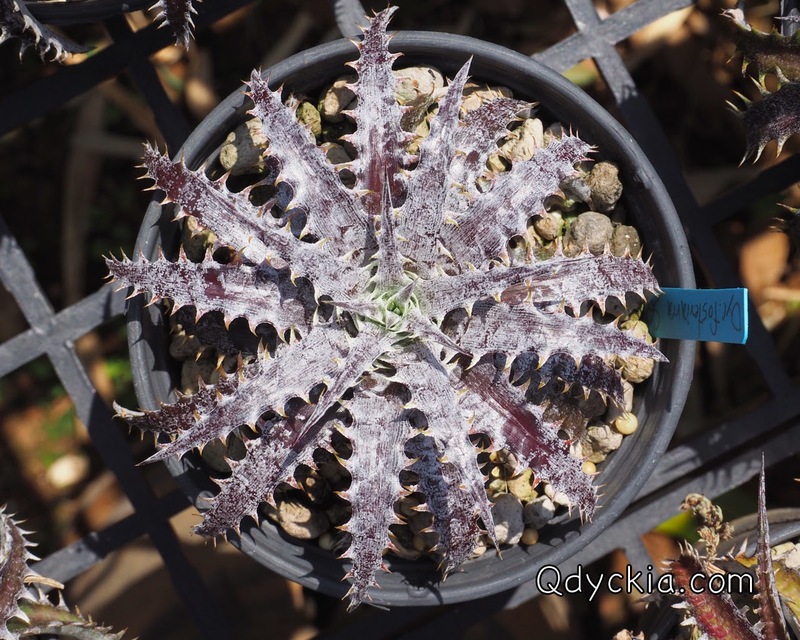 Show very nice trichome now. 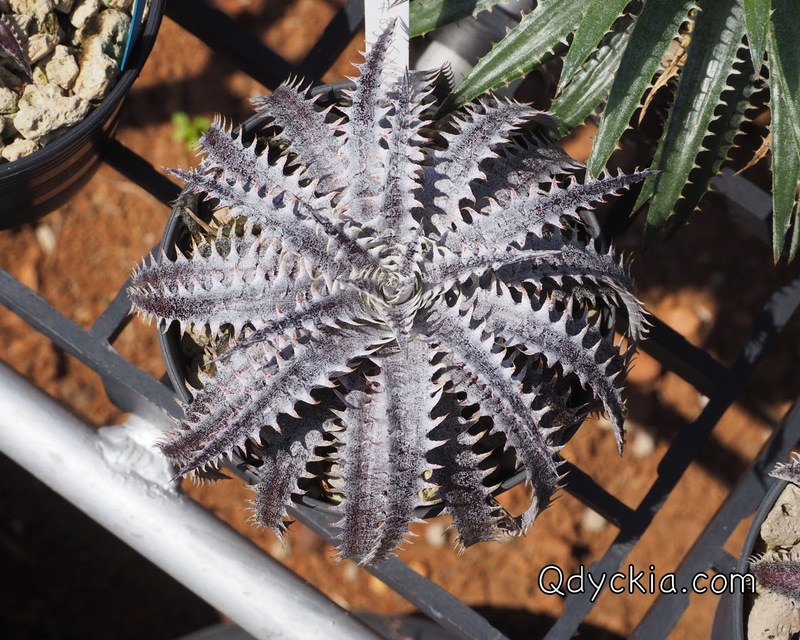 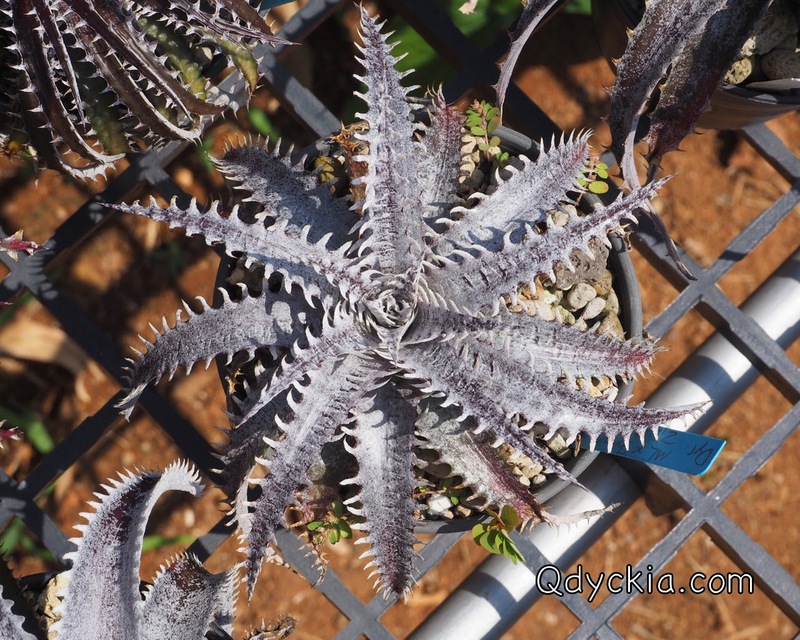 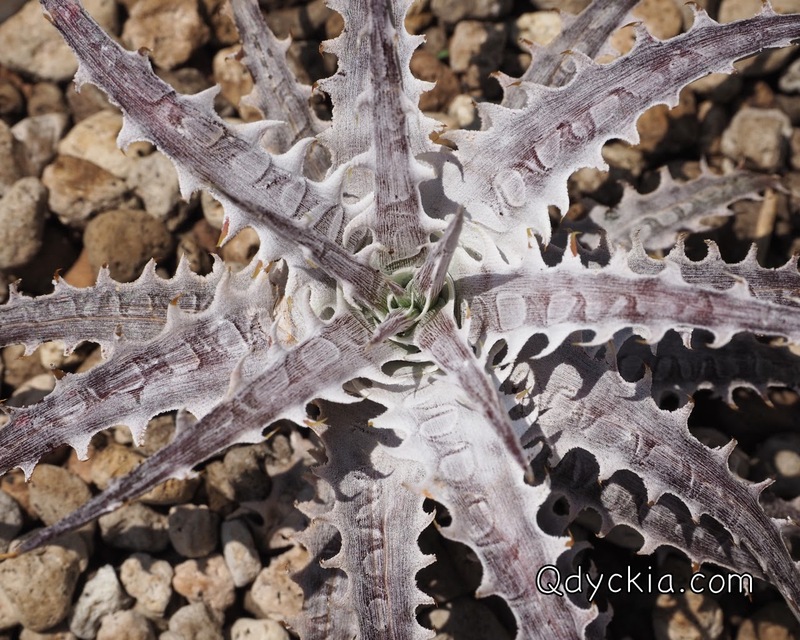 One of the whitest Dyckia in my garden. 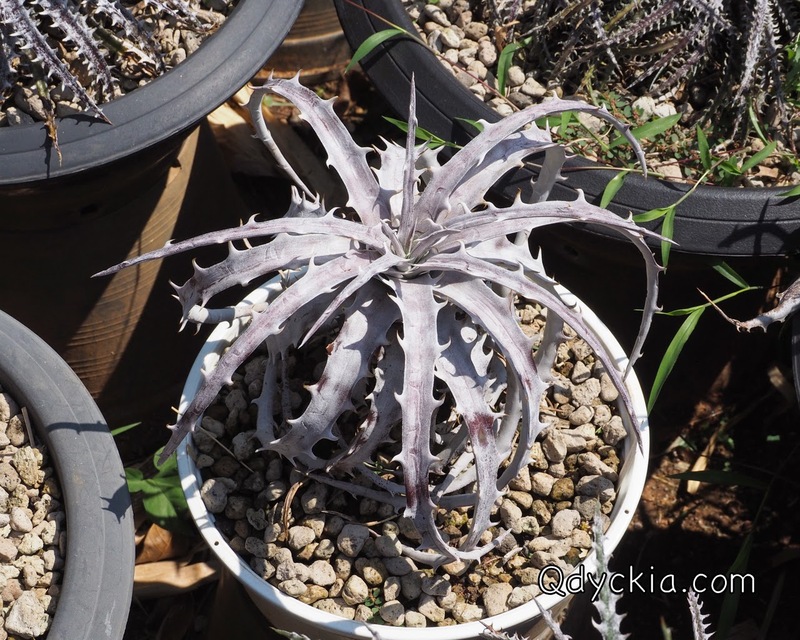 All are perfect for this plant. 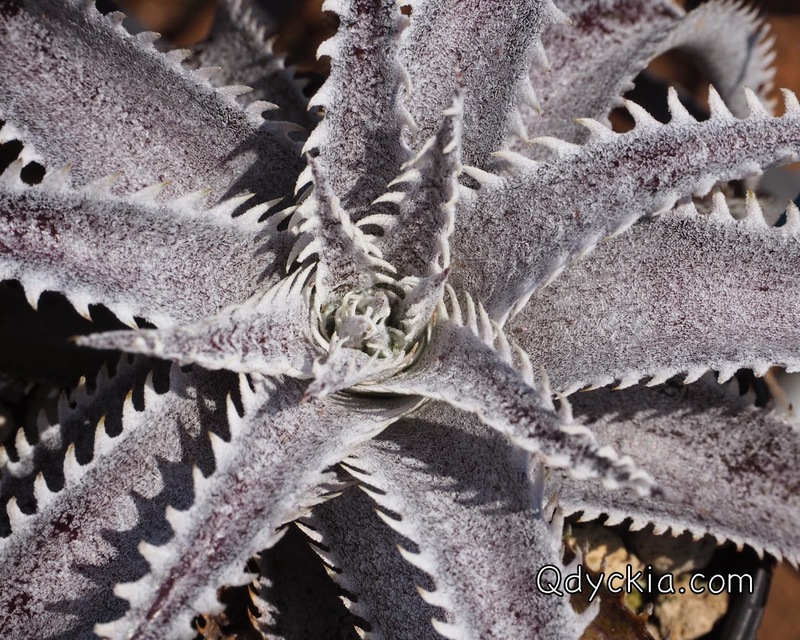 Perfect trichome and nice spines. 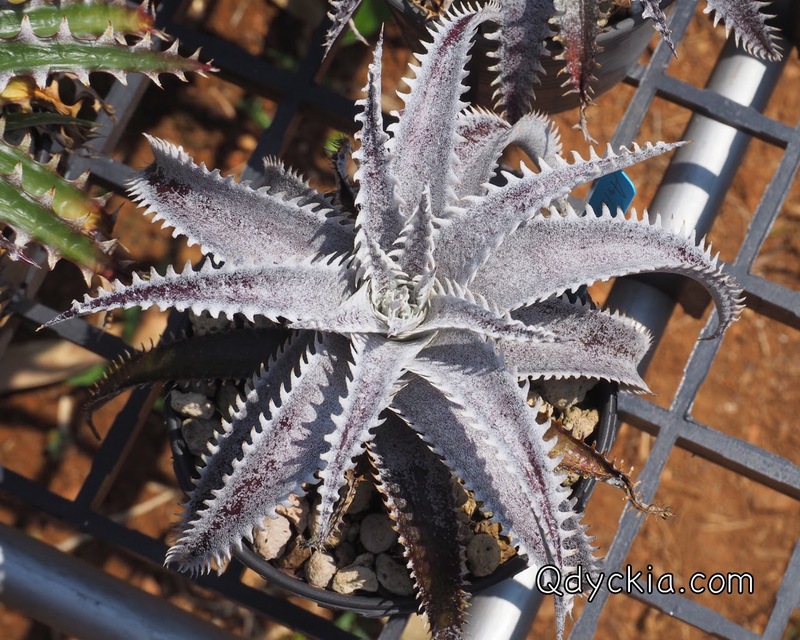 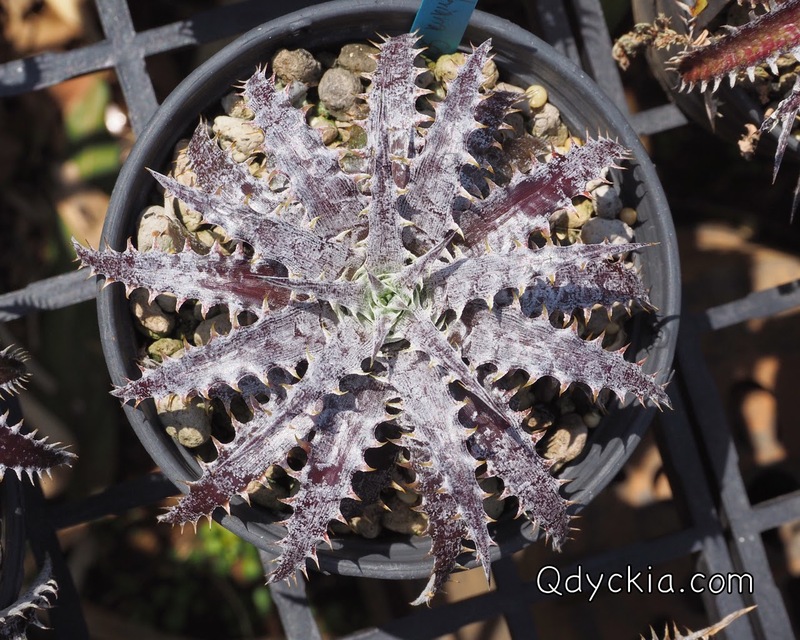 Dyckia Brittle Star F3 X Arizona original clone, red leaf with white trichome and perfect nice spines. 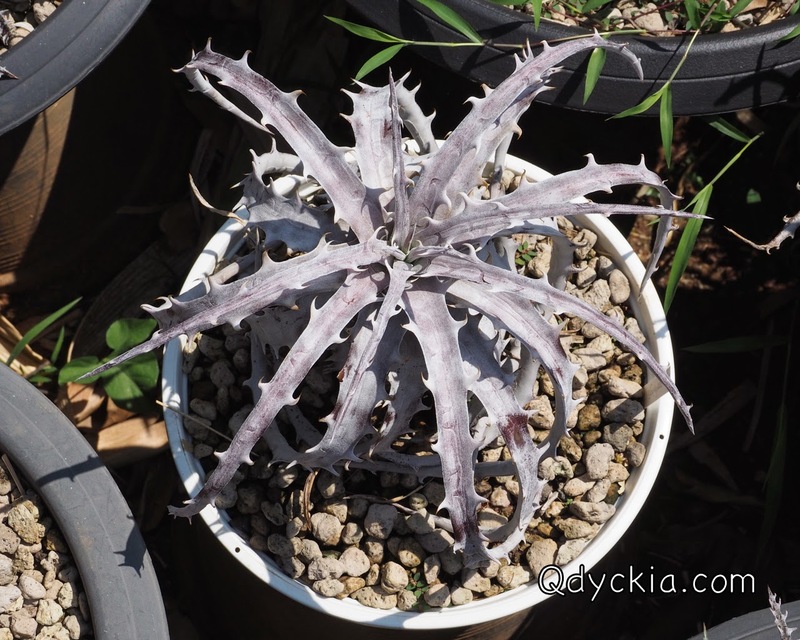 The most whitest goehringii ever. 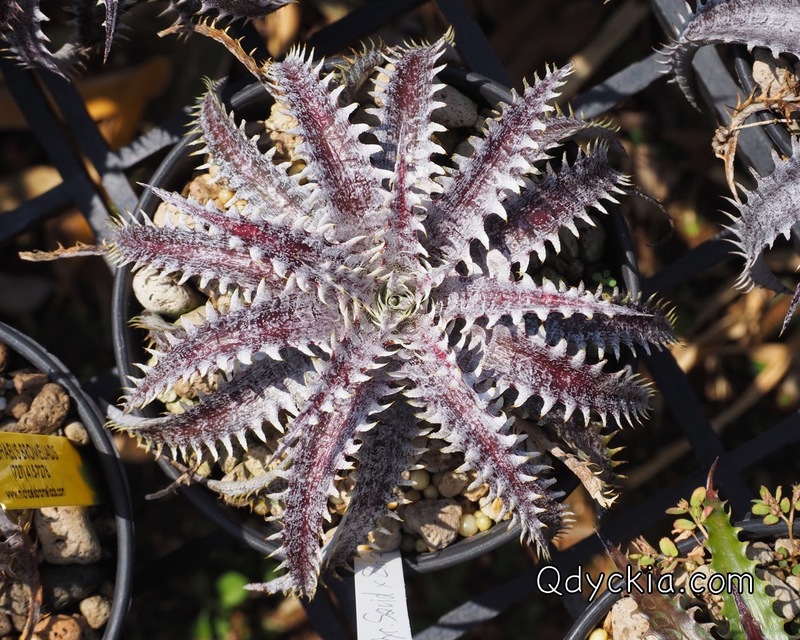 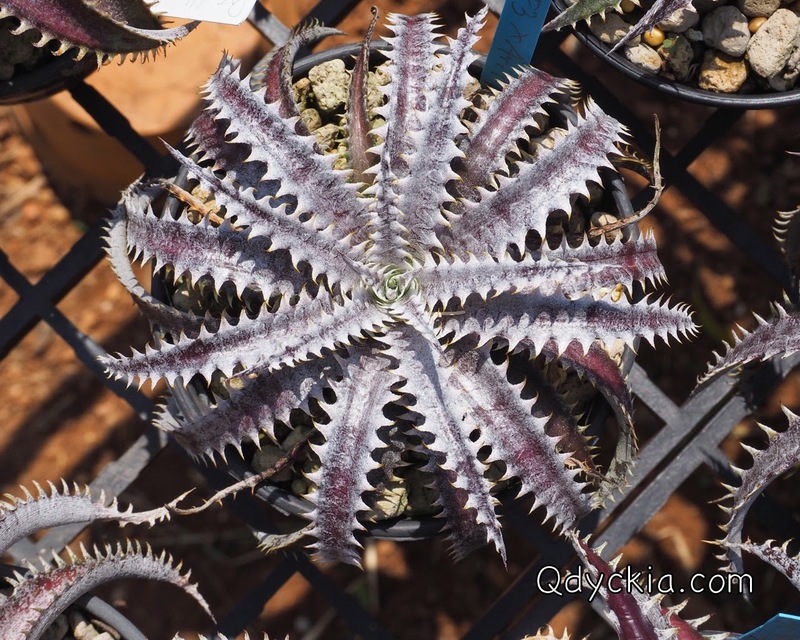 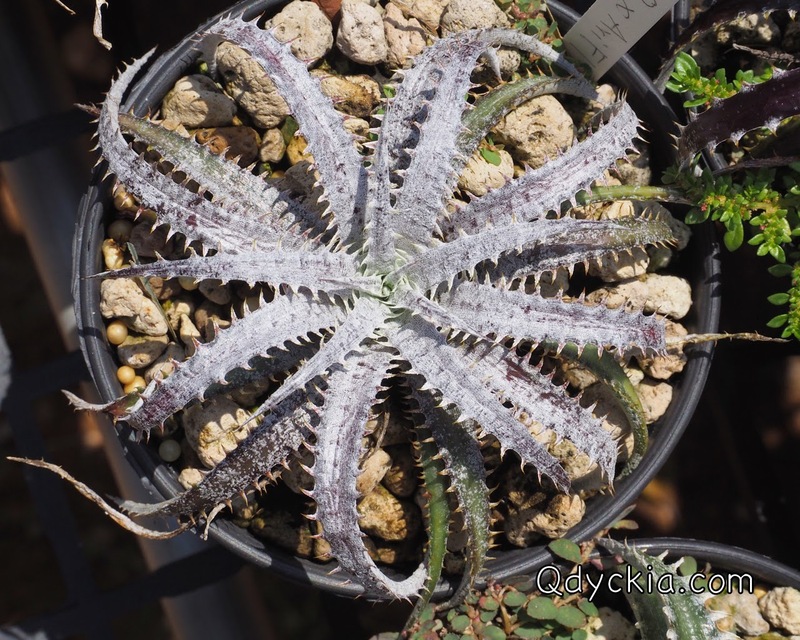 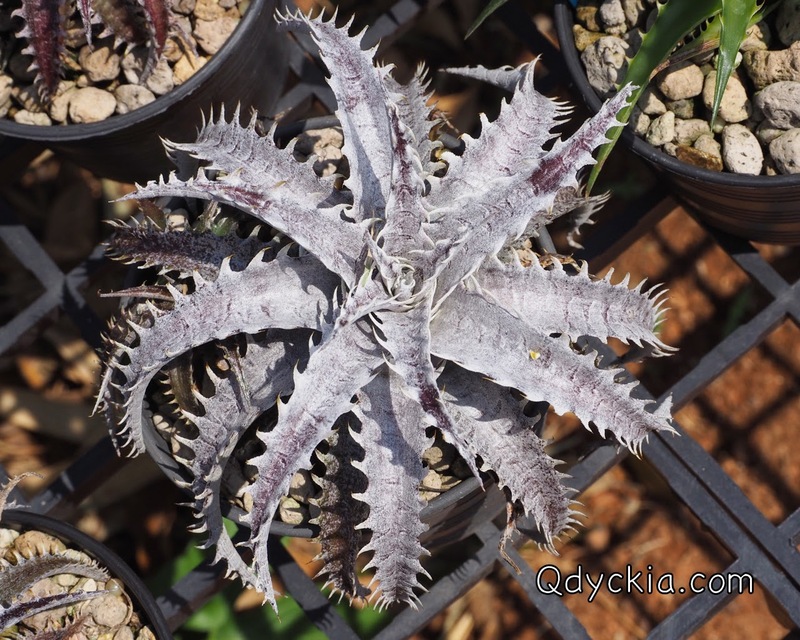 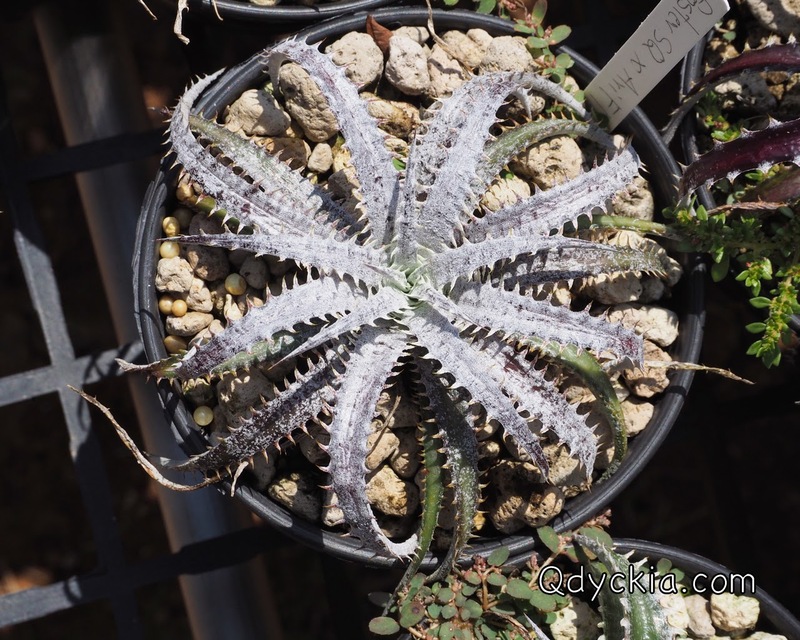 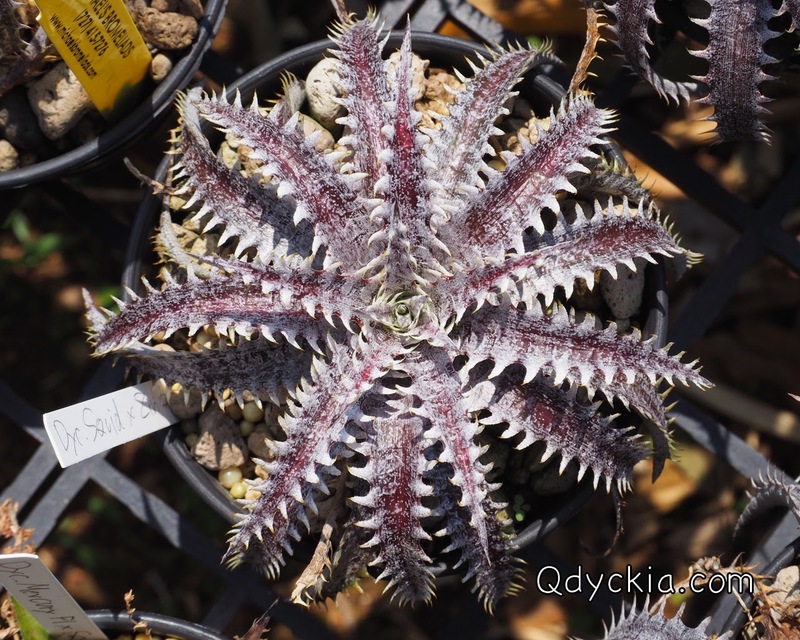 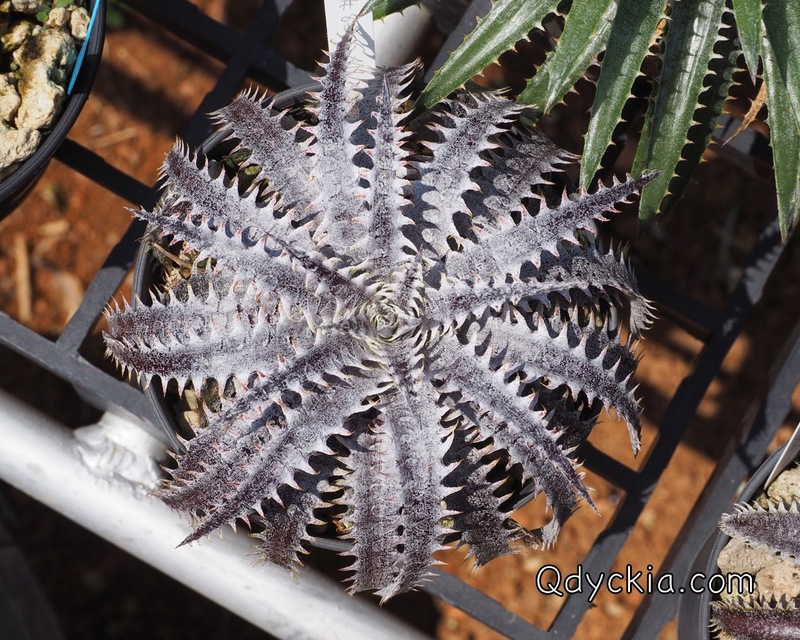 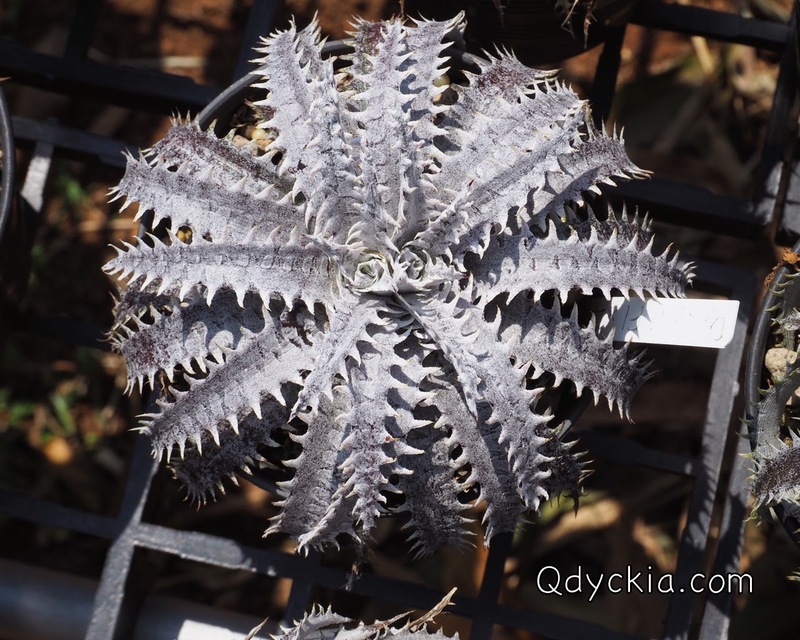 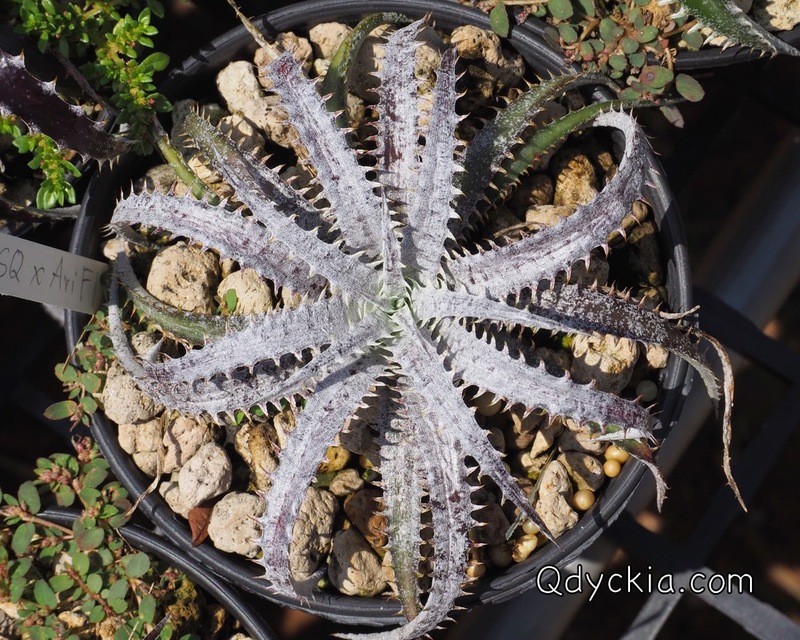 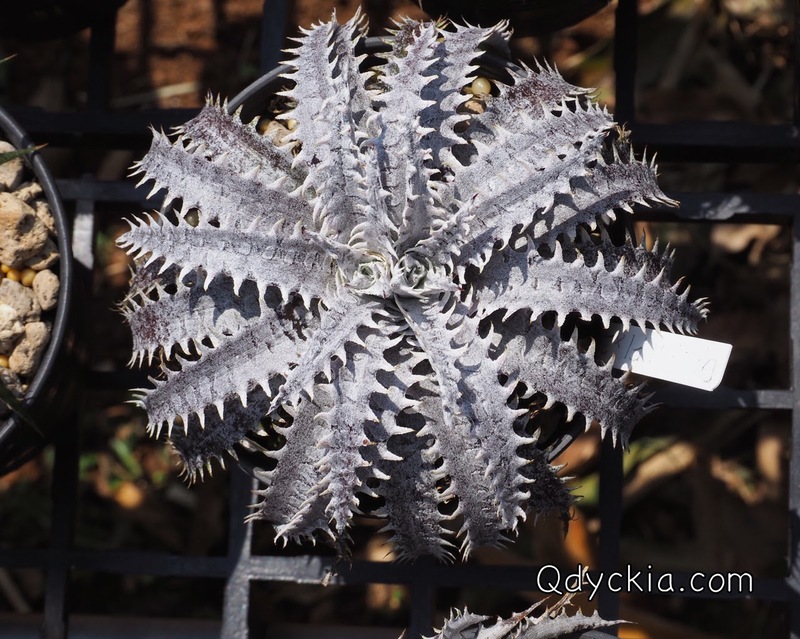 Let's me call this one " Dyckia Bloody Snow "